For the very first time in the Indian Blogosphere, bloggers are going to drive and experience the car before its official launch! 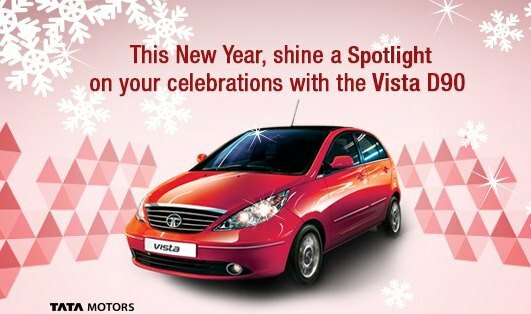 TATA motors has partnered with BlogAdda for this activity. To let the selected bloggers experience the VistaD90 for a period of 3 days and share the driving experience of VistaD90 on their personal social media platforms. A few chosen ones will be given an opportunity to experience the car before its official launch. 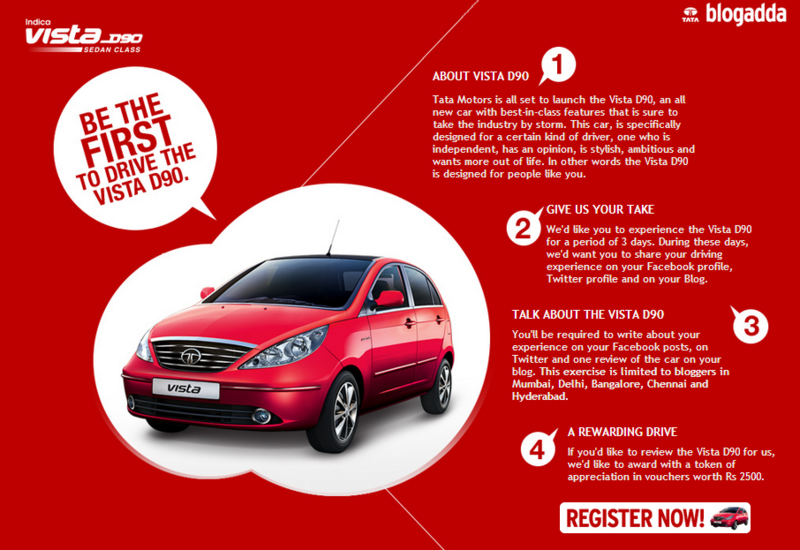 As a part of the programme, each blogger will be given a chance to experience the new Vista D90 for a period of 3 days. During these 3 days, each blogger is required to share their moments of driving the car in the form of tweets, images/posts on facebook & a post on the blog as well. Once you have reviewed, you will be entitled to receive a gift voucher worth 2500. The opportunity is available to bloggers in Mumbai, Delhi, Bangalore, Chennai and Hyderabad. It’s a great way to connect to the online audience. Most of the consumer buying decisions are made based on peer recommendations. The idea of bloggers driving and sharing their experience brings in the peer review angle. If the blogger enjoys the ride he/she positively influences his or her network. The campaign might not be targeted to the right audience. The bloggers or their network might not have actual interest in buying a car. Though overall, it is a great attempt for marketing the car online.